Located on the eastern side of the city, east of Mission District and south of SOMA, Potrero Hill has become one of the most sought after neighborhoods in San Francisco. 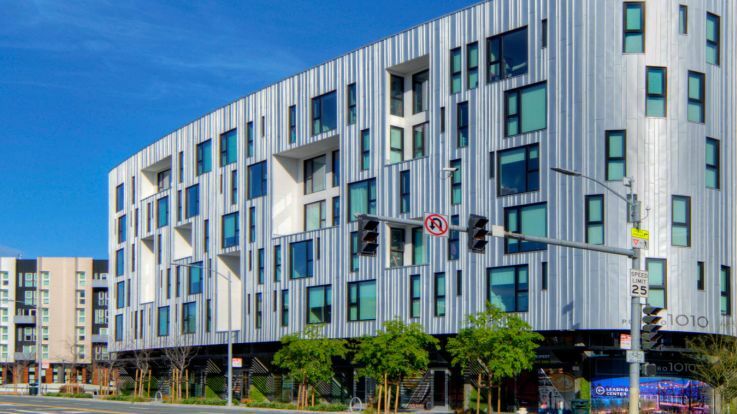 The remarkable views of the bay, the perfect weather and the easily accessible transit routes make our Potrero Hill Apartments beautiful and practical places to call home. The trendy cafés and casual music venues complement the community’s relaxed vibes. However, this does not equate a lack of excitement. The variety of entertainment destinations is as amazing as the terrain and architecture. Visit the 18th Street corridor for some of the local’s favorite bars and gathering spots. Among them include the famous Bloom’s Saloon and Farley’s Café. One of Potrero Hill’s most famous tenants is Anchor Brewing Company, one of the last remaining California Common beer breweries. To make the most of the incredible weather, McKinley Park offers several trails and off-leash dog parks. There’s also the Potrero Hill Community Garden and the Potrero Hill Recreation Center boasting sports fields and playgrounds. Living in our Potrero Hill Apartments, enjoy access to an amazing array of amenities and a devoted management and service team that complements this extraordinary neighborhood. Browse through Equity’s available Potrero Hill Apartments and discover the perfect place to call home.